The other Ghostbusters has flown under the radar since its premiere at SXSW in March. It could be because the word “Ghostbusters” does not appear in its title or any of its promotional material. The movie has none of the original cast or crew and makes no effort whatsoever to align itself with the 1984 comedy classic. But don’t be fooled by this. The little indie gem Another Evil is a spiritual sequel to the beloved Bill Murray, Dan Ackroyd et al romp. Imagine that Larry David, creator of Seinfeld and Curb Your Enthusiasm, decided to take up the story some 30 years after the foursome laid waste to a giant marshmallow in New York. The team has broken up, each one going solo, but, more importantly, the existence of ghosts and the need for ghostbusters is now well established. The well-to-do exchange recommendations in the same manner they swap names of capable landscapers and superior interior designers. Our ghostbusters themselves are a little worse for wear, with one of the two shown in this film undergoing a trying mid-life crisis that cannot be attributed to Zulu or any other external evil manifestation. The result is a comedy of uncomfortable adult contemporary relationships with a couple of dollops of good natured ghosts added as a sweetener. It’s not broad comedy; there are few guffaws and fewer special effects. What Another Evil does have, in abundance, is terrific performances and a whip-smart script. Full credit to writer/director Carson D. Mell for showing that horror comedy can be successfully brought to the screen on a shoestring budget. Mell has been involved in the HBO series, Silicon Valley, and his work here features some of the best attributes of that sitcom. Dan (Steve Zissis) is a successful artist. He has everything a man could want and more: a lovely wife, a strapping son, and a haunted weekend home. He hires an exorcist to rid himself of the pests, but Joey Lee (Dan Bakkedahl, who portrays the outrageously obscene and hilarious Congressman Furlong on Veep) claims that the spirits in question are actually kind of cool and should be left alone, much like geckos in a tropical climate home. Dissatisfied with that approach, Dan turns to Os (Mark Proksch), who advocates a much more aggressive approach. Os moves right in – literally – and the better part of the 90-minute runtime is devoted to him and Dan as an Odd Couple for the early 21st century. 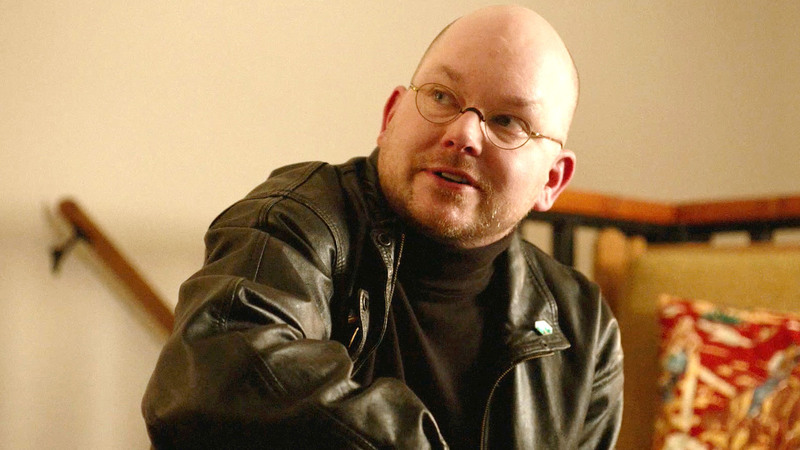 Proksch is excellent in keeping us guessing as to the exact ratio between Os’s competence and his dysfunction. Another Evil was an unexpected treat at the 2016 Fantasy FilmFest, and its showings to date have been limited to festivals. It’s a well developed and fully formed concept, ably delivered by a superior cast and crew. Catch it if you have the chance.